One of the most monumental yet enigmatic works of the nineteen-century is the 24 preludes op. 28 of Frederic Chopin. 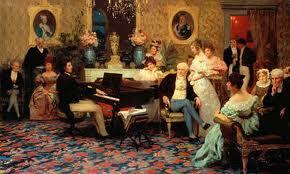 It puzzled as well as fascinated the most celebrated musicians including people like Schumann and Liszt. Is it one work, or are these 24 little miniatures? Should it be played as a whole? Does it have an exposition, a development, any climax, goal, and resolution? Chopin's preludes re-examine, re-shape, re-evaluate (and more) common notions or expectations so to speak, as we delve dip into the Romanic era. Sensuality of sound; what constitutes a melody; rhythmic complexities; textural transparency; are all but a little teaser to what this epic work has to offer. It is the culmination of an era and at the same time the foundation of what is to come. 1) First of all Chopin liberated the Prelude from the… Fugue! Similarly, he liberated the Etude from being a mere exercise or the Scherzo from being part of a larger work. There were predecessors, but he was by far the most masterful. 2) These are Preludes then, but to what? Well, the first one is probably a prelude to the second one. The third one is a prelude to the forth one. But is the second one a prelude to the third? Can we also say that the first twelve as a whole are a prelude to the succeeding twelve? I certainly feel that. 3) Are all the 24 preludes??? No. 23, the penultimate one has the flair of an "after-lude" in my opinion. No. 15, the famous one with the nickname "raindrop" feels very much like a "middle-lude", being the center of gravity in the cycle. Hence the reason that I called this entry "Pre-ludes, Middle-ludes, After-ludes". 4) Bach's "Goldberg Variations" among MANY things, is also a study of baroque dance genres, as each variation explores a different dance genre of the high baroque era. 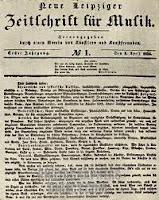 I would like to make a similar proclamation and say that to a large extent the 24 preludes are also 24 studies of 24 dance genres as well as other nineteen-century salon pieces that were common (more or less) in the Romantic period. We can find a barcarole (no. 13), a Nocturne (no. 15), Fantasy-Impromptu (no. 8), an elegy (no. 4), a funeral march (no. 20), a Polonaise (no. 6) a mazurka (no. 7) and etude (no. 19) etc. 5) Staying with Bach… when the great master wrote his B minor Mass he was approaching the end of his life. Writing a grand Mass for his legacy was of highest importance for him. Perhaps there was something of a "legacy" also with Chopin's decision to write 24 Preludes in all 24 major and minor scales – a large scale work that will encompass not only the eternity of music but of humanity in a sense. An emotional journey with the widest of range from triumph to despair, great struggle to euphoria, anger to ultimate sweetness etc. 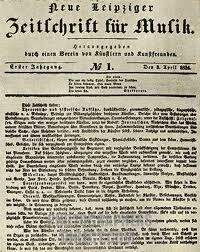 6) In 1834 Robert Schumann founded the New Journal for Music. 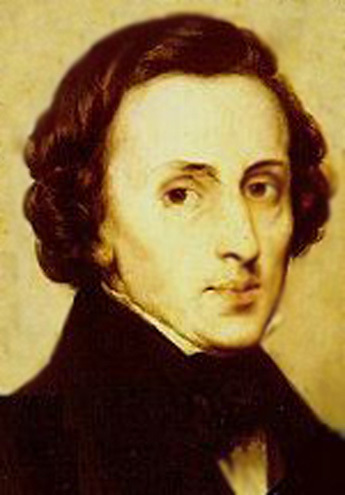 His first review was written about a little known polish composer by the name of Frederick Chopin and started with the words "Hats off Gentleman, a genius". Five years later even though Schumann still admired Chopin greatly, he had this to say about the preludes: "The preludes are strange pieces... They are sketches, beginnings of Etudes or so to speak, ruins, eagle wings, a wild motley of pieces... He is and remains the boldest and proudest poetic mind of the time. The collection also contains the morbid, the feverish, and the repellent. May each search what suits him; may only the philistine (dilettante) stay away." ...to be continued with the words of Liszt and others in the next entry. Love the concert at Ambialet, thank you so much.